Have you come across a written document, only to get frustrated that you can’t read the writing? Reading handwritten documents is an important part of family history. Not every document has been transcribed, and those that have are usually not comprehensive. It is important to study original documents to find all of the clues we can about the ancestor we are researching. By applying a few tricks, you’ll be able to read decipher those documents in no time! When you see a document for the first time, it is important to take an overall inventory of the document. Looking at the date and determining the time period it was written can help you immensely. If the document was written in the 1600s in the American Colonies, it was written in Secretary Hand. There are several online resources that provide alphabets for the handwriting of each time period. It would be wise to obtain copies of these alphabet sheets to refer to while reading the document. One great resource for this is the FamilySearch Wiki. Once the time period is determined, take a minute to browse the document. 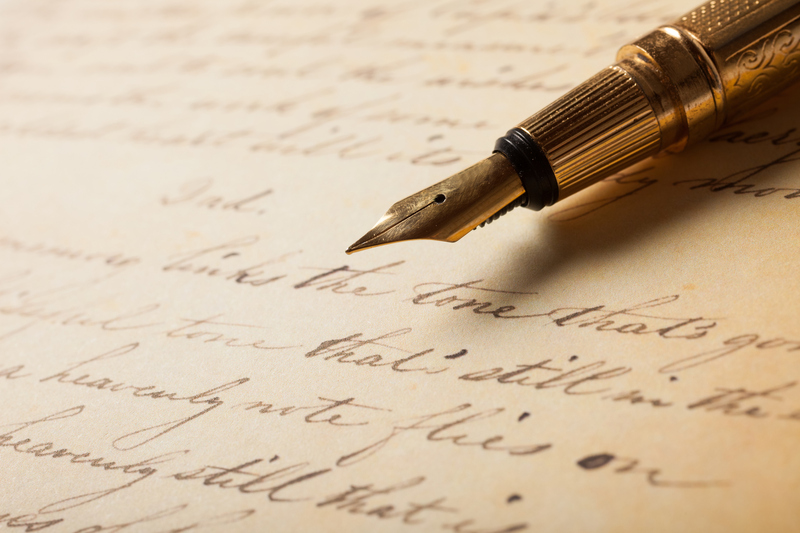 Read it quickly to get accustomed to the style of handwriting. Each scribe had their own nuances within the handwriting style they used. By becoming familiar with the scribe’s writing, you will find it easier to read the document. Notice the patterns in the document. If the scribe had a distinct way of writing a certain letter, make a note of it and pick out all of those letters in the document. Try writing down the scribe’s alphabet by picking out each letter and writing it down the way the scribe did. You can reference the alphabet as you read through the document. Another helpful way to read a document is to transcribe it. Write it down in your own writing. Many times when words are hard to read, we can write down the letters we know, and our brain will fill in the missing letters. We will understand the information better when we have it written down in our own handwriting, or typed out on the computer. If you come across a word you still cannot read, try finding the letters in another word you can read. Compare the letters to each other. If you are still stuck on a word, instead of examining it closely, take a step back. Many times when we look at it closely, we can’t see the forest through the trees. When we look at the word from a distance, it gives a different perspective. You may be surprised how well this trick works! It is also important to have patience with yourself. Take a deep breath and relax. The words will come to you when you are not trying so hard. By spending time with a document, you will find that it will become clearer to read. You will be able to figure out most, if not all of the words. When you write it down you will have a copy to refer to and study. The task will not seem so daunting when you use a few tricks to discover the message. And remember, if all else fails, feel free to have Colleen take a look at it!